Adorable White Seal " Gotita"
You are located in>Home >> Toys and Games >> Adorable White Seal "Gotita"
100% Baby Alpaca, Adorable White Seal "Gotita"
Our GOTITA, translation from Little Drop, is white as snow using 100% baby alpaca fur,adorable white seal is cute, every detailed was worked by our gifted artisan ,very soft, so cute , you can use it as home decor, even as a little pillow. Is a gift that everybody will like, and also you are helping fair trade artisans too keep his art through generations. GOTITA white seal is a beautiful stuffed animal of our Incastreasures collection of Toys and Games, his friends Chevere, George, Dolly and the others wants to be your friend too. 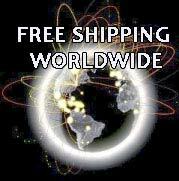 We have start with a fair price to you, we are giving you also free shipping worldwide and a gift from Gotita. Only natural colors and the best selected baby alpaca fur is used in Gotita Made by fair trade artisans. No animals were harmed to make this adorable baby alpaca stuffed animal. 100% handmade Peru Usually arrives on 9 business days .